Ezra is rear facing in a Britax Wizard. He is 2 years 5 months old and weighs 29 lbs. 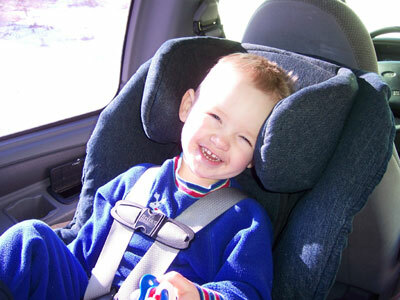 He has been rear facing since birth and will remain rear facing up until 35 lbs (once he reaches the 33 lb weight limit of his Wizard, he will be moved into his big sister's Intera).